How’s it going? End of school, blazing pre-summer heat + life have kept me from you. I’m sorry. I’m back. And I’m seriously backlogged with truckloads of recipes that I want to share with you. Think savory Spaghetti + Meatballs that comes together quickly. Or what about that Salted Caramel Brown Butter Blondie Ice Cream that I’ve been parading around social media? Or one of my favorite recipes: pizza dough is quickly mixed and shoved in the fridge for a couple-three of days to bubble and gurgle and get all of the hard work done. By Wednesday you can have a quick (yes, quick!) mid-week pizza night. These are the things occupying my time. While my kids are away with their dad for the summer, I will be tending to these recipes and getting them to you as quickly as I can, picking up the pace a bit. This raspberry scones recipe is very similar to this recipe, just delete the blueberries and add more raspberries. But people have told me they prefer to have the recipes separate for easy reference. So here you have it. They’re so pretty to photograph, I’m quite happy to give them their own place to shine. Let’s get to them, shall we? Let’s bake some raspberry scones, betches. Pull the raspberry scones out of the freezer. Using a sharp knife (I love my bread knife for this), cut each disc into 4, equal-size scones (yielding 16 cute, petite scones total). When cutting, make sure to press down quickly and lift straight up. If you wiggle the knife in there or use a sawing action, your sides won’t have a nice, defined edge. *At this point, you could give them a little more time in the freezer (until frozen) and then wrap tightly (as noted above) and put back in the freezer to bake another time. Set the raspberry scones still on the baking sheet on a cooling rack. Keep them in a draft-free area. While the raspberry scones are cooling…grab a bowl and whip up the glaze. Mixing schmooey is a tango…listen to what it wants and needs. Throw the zest, juice, powdered sugar and cream in a bowl and mix away. Does it need more powdered sugar? More lemon juice? Add more of each in little bits until you get the right consistency…which is when it is thin enough to drizzle, yet thick enough to stop in its’ tracks and not just run off the scone. 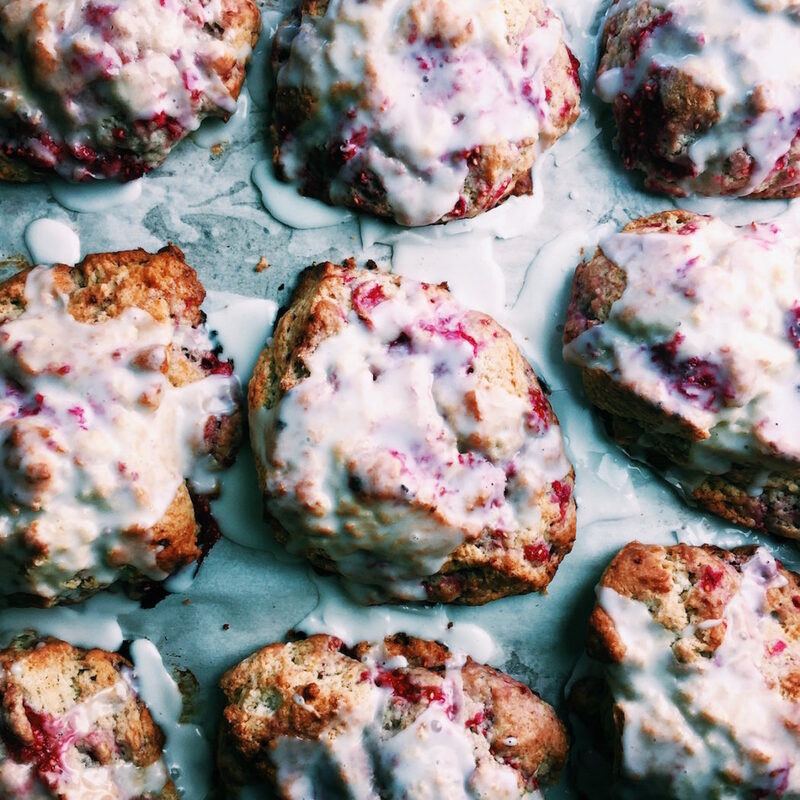 Let it sit and mingle while the raspberry scones cool. Smear the schmooey on top and you’re done. 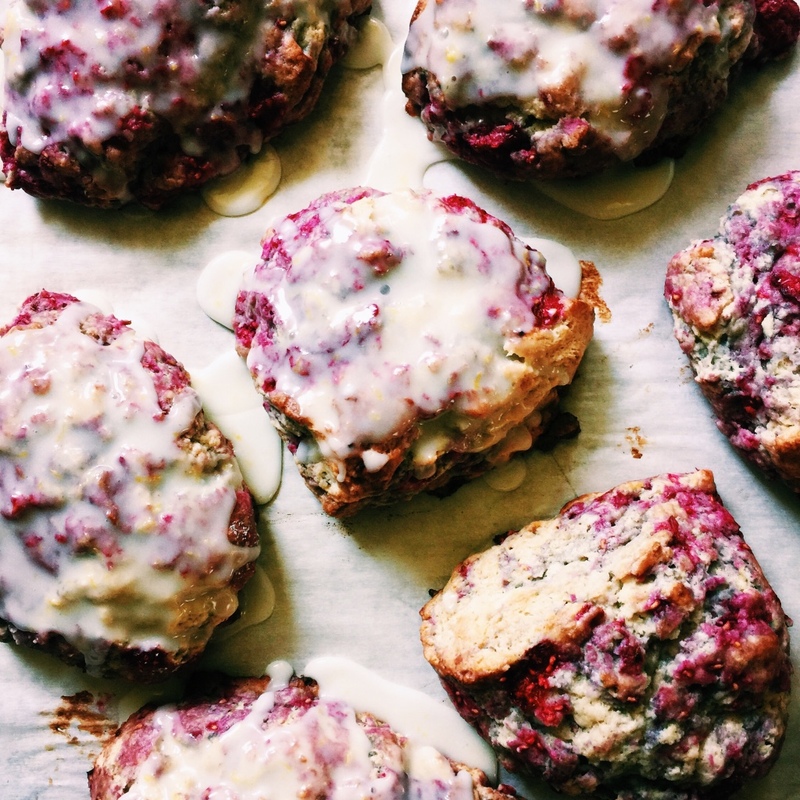 I’m over on Snapchat (@displacedtaitai) and I’ll be taking over the FeedFeed’s Snapchat (@thefeedfeed) and making these raspberry scones on Sunday, June 5th. I hope you’ll join me! If you miss it, look here after a couple of days to watch in its entirety. You guys, I got a pasta maker. Just what I need, right? If you have a favorite pasta recipe, let me know. I’m on the hunt… On Saturday I messed around with a ricotta + black truffle ravioli. It was everything. Who else is happy that school is out?!?! I think I’m more excited than my kids. No more lunches, club sports…whew. It was a long school year. If you want more scone excitement: Fresh Strawberry Cream Scones, Cherry Almond Scones, Blood Orange Scones, Gingerbread Scones, Cranberry Orange Scones, Maple Oat Scones, Pumpkin Scones, Thai Thai Scones, Bacon, Chive + Cheddar Scones, and Raspberry + Blueberry Scones. The Hatchery DisplacedHousewife code is still happening! Click here and use the coupon code DHW10 and get your first Hatchery box for $10. Love. 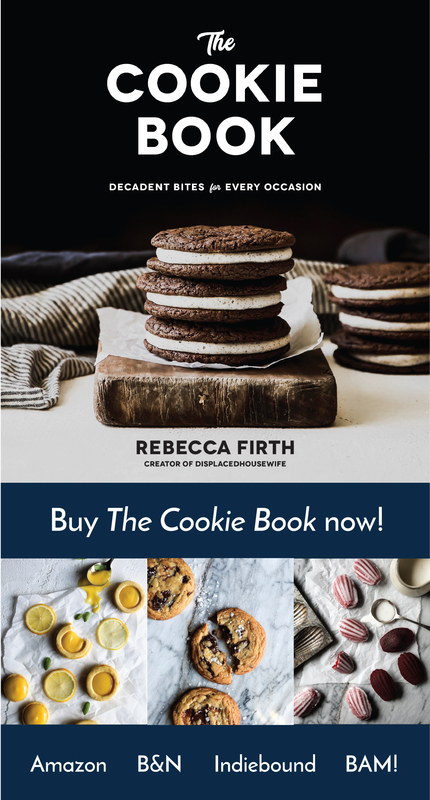 Be sure to use #displacedhousewife and tag me @displacedhousewife when you make a DisplacedHousewife recipe so that I can see all of your beautiful stuff. I love seeing what you guys do. I know some of you aren’t on Instagram and send me photos via email…keep ’em coming. It truly makes my day!! 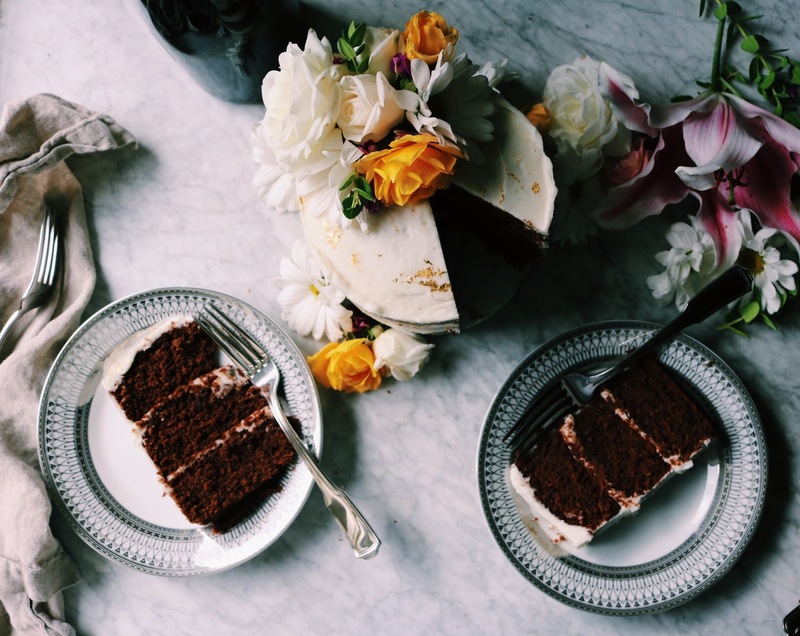 Made these…very moist and super delicious. Will leave the cinnamon out next time, though. Thanks for the recipe! This is inspiring! See, when I have a craving lately and I can’t find Petite Raspberry Scones + Fresh Lemon Glaze in a store I usually just whine and moan and go without. I really should just be inspired to make my own Petite Raspberry Scones (and let’s be honest- better) version at home. You rock! Hello, scone queen! ;) Look at these beauties, absolute stunners as always. And that lemon glaze… yes please! I am all about these scones. And I especially love your tips about freezing the dough. Whipping up a batch and going wine tasting sounds like the perfect way to pass the time while they rest. And “not George Hamilton dark” should be mandatory baking terminology. Love it. I’ve missed you Rebecca! 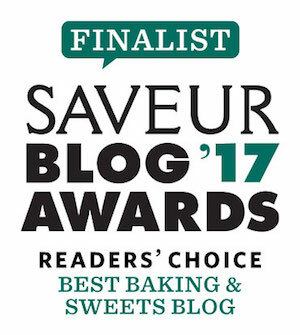 Oh how I always love your scone recipes! I’m looking forward to my school year to wrap up so I too can get into a better posting routine :) One more week… not that I’m counting down or anything! What a glorious post to wake up to Rebecca! My love for scones is HUGE, so these beauties, and I mean BEAUTIES, will be baked up in my kitchen very soon! I’m lovin’ all that lemon glaze! Thanks for sharing. Thank you Frank — I hope you do!